in the process of researching Philippe Ledoux for my blog. Just like with Hugo Grygkar, I am astounded how very little information I can find on the web about them. 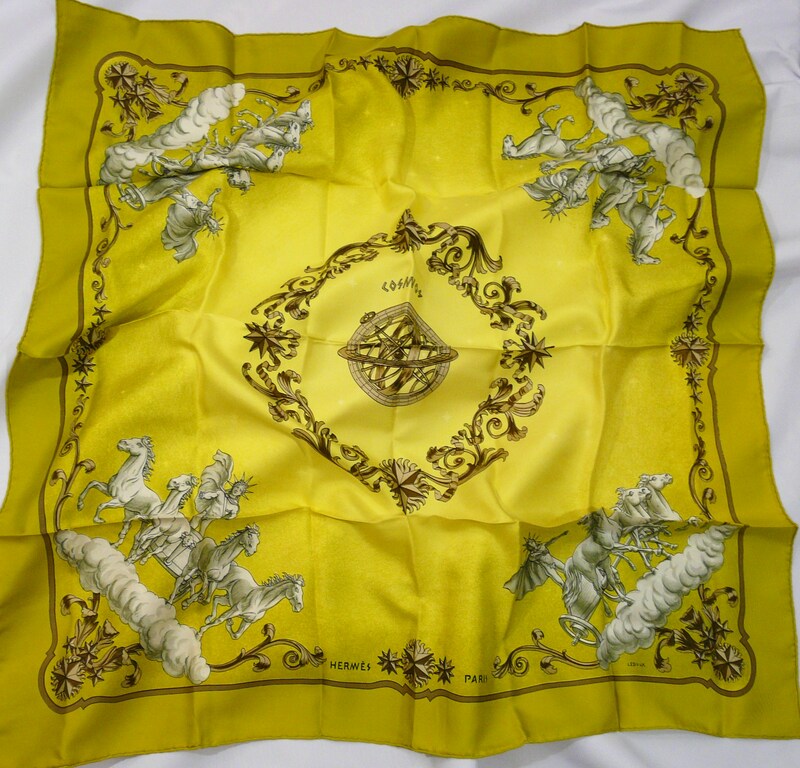 After all, these are the two most influential artists Hermès has ever had. 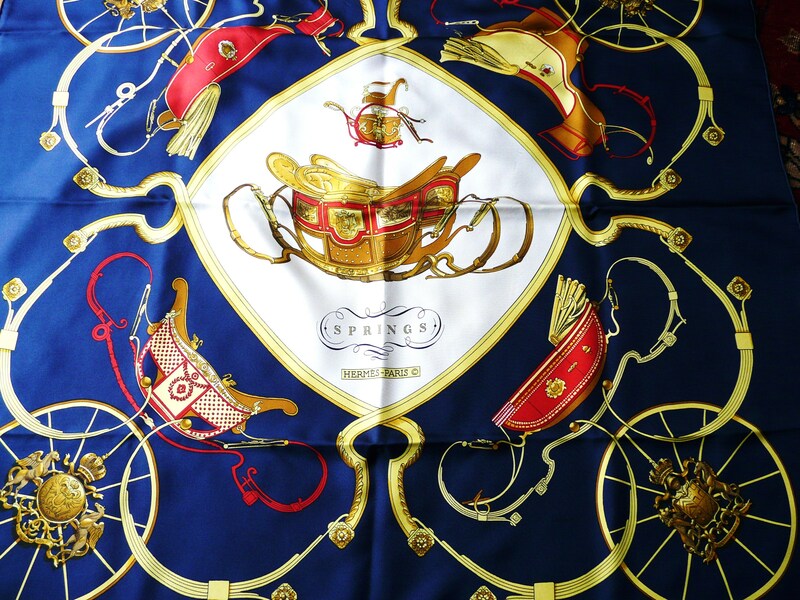 Both were there practically at the birth of the carré, both have helped shape the Hermès carré as we know it today, and have created some of the most loved and coveted scarves …ever. 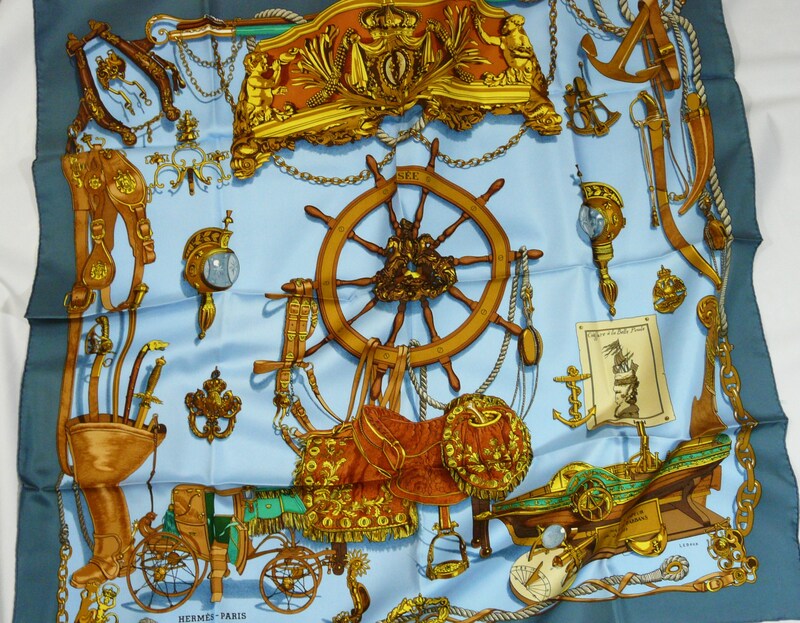 If you have an interesting bit of information about Monsieur Ledoux or one of his scarves, that you feel should be included, please let me know. Your input is as always, much appreciated. somehow I missed your comment – my apologies. Would you be interested in posting photos of them on my blog? I think that is fantastic – what a treasure – congratulations! 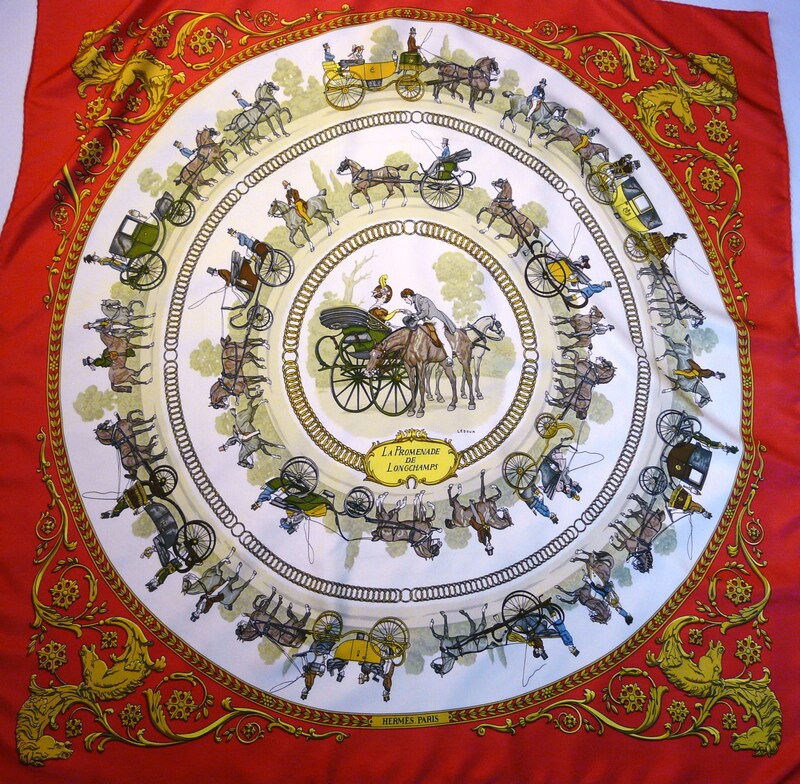 I possess a Ledoux design scarf bought at a jumble sale “Bull and Mouth Coach Office. I only paid £1 for it but would like to know what it is worth now, It is in very good condition. 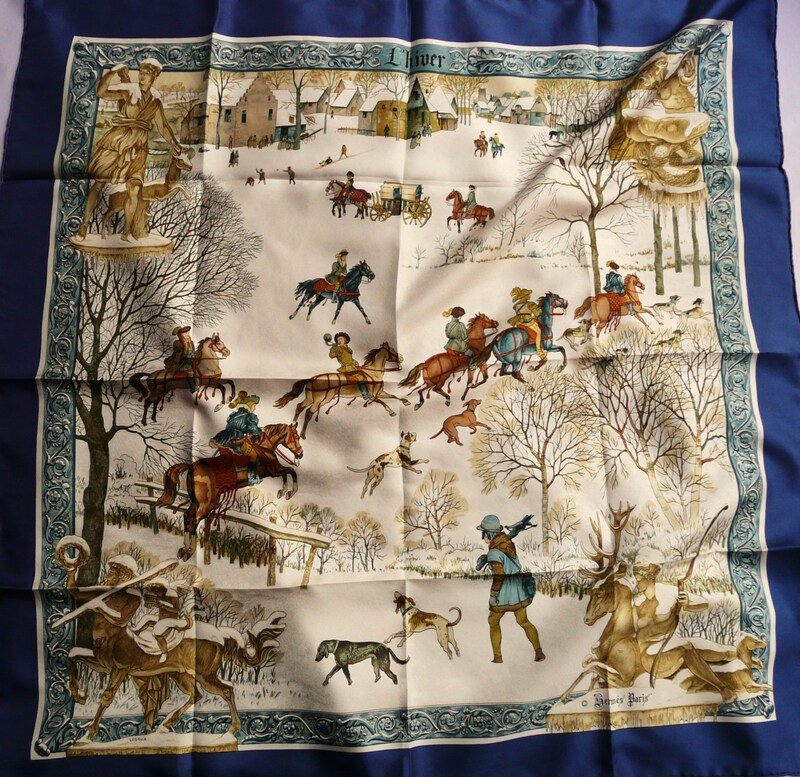 I believe you are referring to a L’Hiver en Poste Hermes scarf. 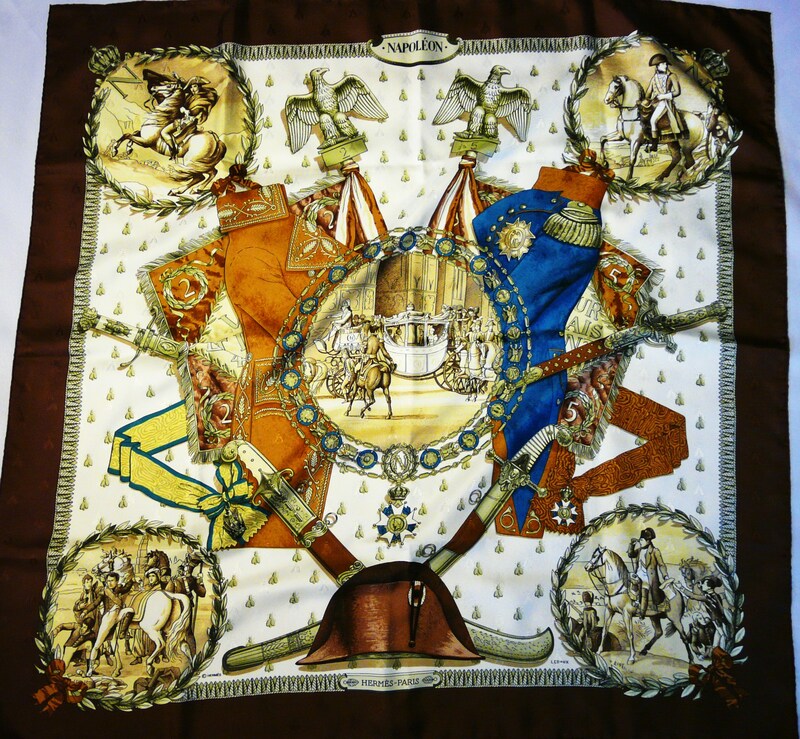 This scarf was originally issued in 1975 and has been quite popular and prices start based on condition typically at $250 and go from there. I hope this helped – please let me know should you have any further questions.